What Can I Power with PoE? Everything from VoIP phones to thin clients to LCD TVs can be powered with PoE. Just determine how much power your device will need, and chances are there is a PoE product available to integrate into your design. Below is a chart of some of the PoE wattages offered by ELe and examples of some of the products you can power with them. 13W 30W 60W – now 100W – soon 200W – not far off! What are the PoE Standards? The Institute of Electrical and Electronic Engineers (IEEE) is responsible for creating PoE standards. There are currently two PoE standards available. The 802.3af standard supports 15.44 watts of power. But even though 802.3af Powered Sourcing Equipment (PSE) are able to transmit 15.44 watts of power, powered devices (PDs) can only reliably receive 12.95 watts of power due to power dissipation. In 2009, IEEE introduced the higher powered 802.3at standard, also known as PoE+. The standard supports 30 watts of power, but in similar fashion to the 802.3af standard, power dissipation causes powered devices to receive slightly lower amounts of power, specifically 25.5 watts of power. IEEE is currently overseeing yet another higher powered PoE standard. As the utility of PoE expands beyond the networking sector, higher powered PoE will be able to support nurse call systems, point of sale systems, IP turrets used by financial traders, and higher powered IP cameras such as PTZ Cameras, among many other applications. 802.3bt, also known as PoE++, the new standard is expected to be ratified in early 2017, will utilize all four twisted pairs to transmit power. The 802.3bt standard will be able to achieve 49-70 watts of power using this method. The new standard will essentially combine both Mode A and Mode B to achieve the higher voltage. Some sources even site that the standard will be able to supply up to 100 watts of DC power. This newer standard will not only allow for higher power, but will also be able to support 10 Gbps connections. Type A specifies for 60W (50 watts of power) and Type B specifies for about 100 watts of power (approximately 80 watts of power with power dissipation). Cost-efficiency– PoE eliminates the cost of hiring professional electrical installers. PoE or Power over Ethernet as it is also called enables electrical power to be passed through Ethernet cables instead of standard electrical wiring. Since one does not need a licensed electrician to run Cat5e or Cat6 cable, and this networking cable can be run anywhere, there is much greater design flexibility. Products like digital signage and security systems become simplified and less expensive to install. 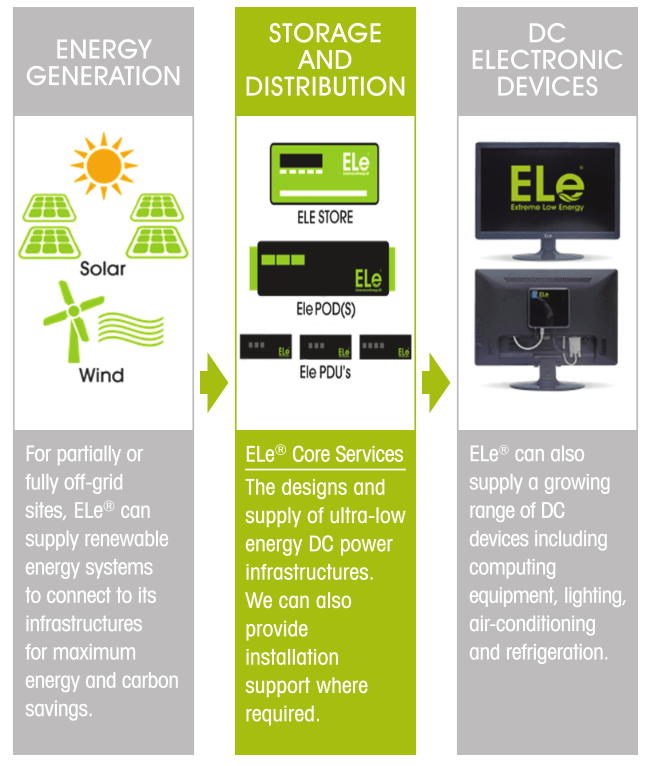 Do I have to have renewables to use the ELe DC system? No, not at all. 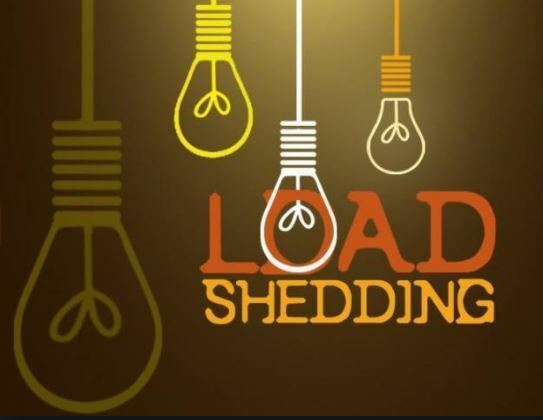 In fact many of our customers do not have any renewables and just charge their battery banks when the grid is available or overnight from cheap-rate energy tarifs- this is called “load shifting” or “load shedding”. The electricity source could also be from a fuel cell product or a generator (petrol or diesel)! How long will the ELe lithium-ion phosphate batteries last? University of Manchester conducted a 5 month test project and has independently verified the quality and longevity of the ELe battery packs. 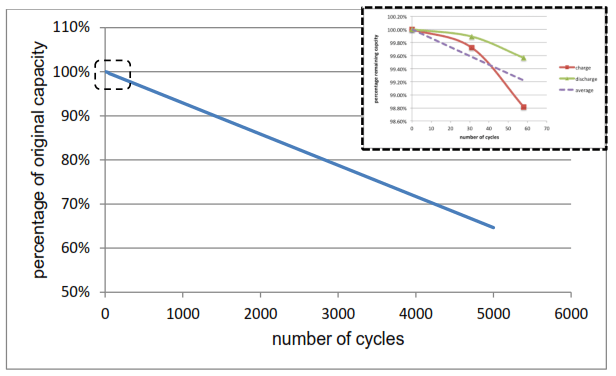  Assuming a linear capacity loss with cycle number then a worst case scenario is for a ‘day’ cycle consisting of a 10A 10 hour charge profile and overall computer loading of 750W for 7 hour, then the ELE-POD is predicted to be able to perform 2830 cycles before 80% capacity remaining is reached. 2830 cycles is equivalent to daily usage for almost 8 years. Or, assuming a UK school year is 195 days, the ELE-POD will reach 80% remaining capacity after 14 years and 6 months.  Accelerated capacity loss tests with a scaled ‘day’ cycle showed a marginal reduction in capacity loss per cycle if the cells are scheduled to start charging straight after the one hour balancing rest period at the end of discharging as opposed to delaying the charge to finish just in time for the balancing rest before the next discharge cycle. be a more cost effective way of prolonging battery health. ELe solar solutions are wired in parallel to deliver voltage under 75V DC and are much safer to work on. There is also an isolation switch in order to work on the panels. Are there limitations of ethernet for runs over 100m? What is the maximum distance for a power over ethernet cable run? Is it safe using ethernet / structured cabling to transmit power? We use an ACTIVE PoE design adherring to all 802.3 standards and has been used for the last 15 years to power cameras, phones and other electronic devices. As all ELe CAT5e and CAT6 products are 802.3 industry standards compliant all of the data and power transfer adhere to defined protocols to avoid these issues happening. Wifi has developed and been widely implemented over the last few years but ethernet cables are still used in places where higher data transfer speeds and data quality is required. There is a place for both technologies in the infrastructure but now ethernet is being used for power will mean more structured cabling will be installed in the future. What if PoE slows down the network? What if People plug-in non PoE devices into rj45 sockets? Are the Ele power products designed to meet Compliance? What if there is a short circuit when the rj45 patch lead is plugged in? The IEC connector on the Controlbox is backup up by inline filters and surge suppressors to remove any hazard to our equipment. No personal or individual inforation is stored or sent, each packet of data will be a string with a remote Device ID and usage data from various sensors, meaningless to anyone outside of ELe. All data is stored in an ELe designed,built and secure managed database in a UK datacentre. System will continue to operate but utilising the AC grid as a backup. Alerts will be sent about failure. AC backup circuit for systems installed where there is an optional grid feed. This ensures the system stays up in the event of a batterypack failure or during any required maintenance is performed. Automatic alerts sent to admin team notifying. What if the Overnight timed ‘load shifting’ battery charge fails? Is maintenance required on the Ele battery packs? Lithium-ion is a low maintenance system, an advantage that most other chemistries cannot claim. There is no memory and the battery does not require scheduled cycling to prolong its life. Lithium-ion does not have the sulfation problem of lead acid that occurs when the battery is stored without periodic topping charge. Lithium-ion has a low self-discharge and is environmentally friendly. Disposal causes minimal harm. Can’t see the answer you were looking for – why not ask the ELe team?